A CONCERNING amount of Australian children are not reading at the expected level, but it is not all bad news for our future leaders. The BHP and Books in Homes Australia partnership has been expanded to deliver almost 60,000 books to 1870 Australian children across the nation over the next three years. The important literacy partnership will see primary school children, pre-schoolers and children aged 0 to 3 receive reading materials who for various reasons otherwise might not have access to them. The partnership, has already seen nearly 15,000 books reach children throughout regional Australia since 2011. 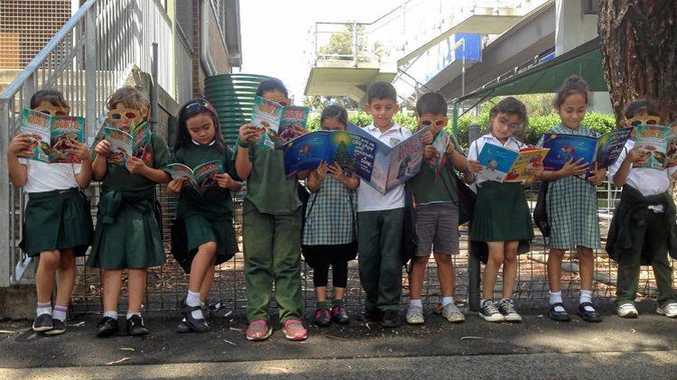 It has helped to build both literacy skills and excitement in young Australians about reading. CEO from Books in Homes Australia, Peter Large spoke about the value of literacy skills and the accessibility to books to begin children’s reading journeys. “BHP’s support of Books in Homes will help many thousands of children across Australia receive books and opportunities that they otherwise might not have received,” he said. Research conducted last year found that literacy and reading for pleasure play a significant role in a child’s happiness and success. Nearly four times as many children who don’t have a book of their own at home read below the average expected for their age compared with their peers who own a book. Furthermore, growing up in a home with a 500-book library can lead a child to complete on average, 3.2 more years of schooling. Even having as few as 20 books around the house can significantly impact a child’s future education. Over the next three years the partnership will provide over 60,000 books to 32 schools, preschools, childcare centres and community playgroups through the Books in Homes Australia program.